Plastic: every single piece of it on the planet today will never, ever go away – no matter how much it breaks down or how often we recycle it. Single-use coffee cups, food packaging, wet wipes, plastic bags, straws, and hotel toiletry bottles – these are things offered to us every day that we travel. Manufacturers won’t stop feeding plastic to us (it’s far too convenient), but consumers are powerful people and we no longer have to buy it. Change the products you pack, refuse plastic at every turn and make your next trip a game-changer for the planet. Every minute of every day, one million plastic water bottles are bought across the world – that’s 16,666 bottles per second. In Australia alone, a quarter of us drink from a single-use water bottle every week and less than 40% of those bottles are getting recycled. Most end up in landfill and spend the next 1000 years breaking down. Recycling makes a difference (recycling just 41 plastic bottles saves enough energy to run your laptop for 17 hours), but what if you stopped buying plastic bottles altogether? In 2009, the Aussie town of Bundanoon did, offering only reusable drinking bottles for sale in its stores and chilled filtered tap water to fill them: simple and genius! Pack this: a reusable drink bottle and a lightweight (USB-rechargeable) water purifier. On the trail to Everest Base Camp, our SteriPEN treated more than 100 litres of local water – that’s 100 plastic bottles that didn’t end up in mountain landfill. Despite a lot of claims, the vast majority of wipes are not biodegradable so flush them and they’ll end up floating around the world’s oceans for 100 years, or worse, wind up in the belly of a turtle. Convenient as they might be, the wet wipe is now off the shopping list. Pack this:washable muslin cloths and natural hand sanitiser or genuinely biodegradable bamboo fibre wipes. Every straw you have ever sipped on is still on the planet today. They will never go away and they are accumulating. Australians only use upwards of 10 million straws a day. It’s a big problem with a very simple solution – leave them on the counter. 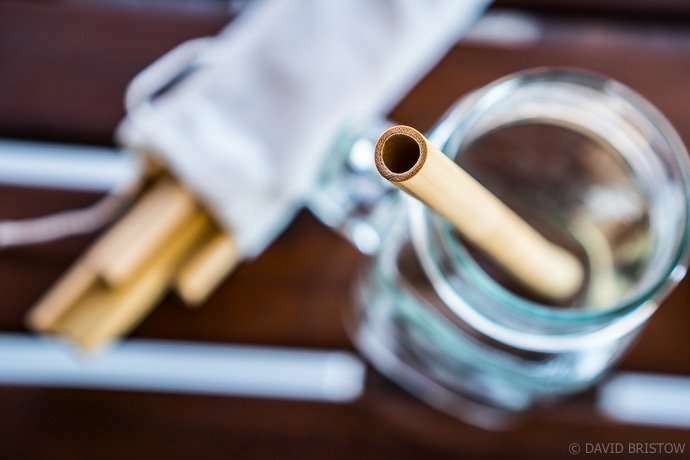 Pack this:bamboo straws are renewable, sustainable and 100% compostable, lightweight and cheap (from $2). 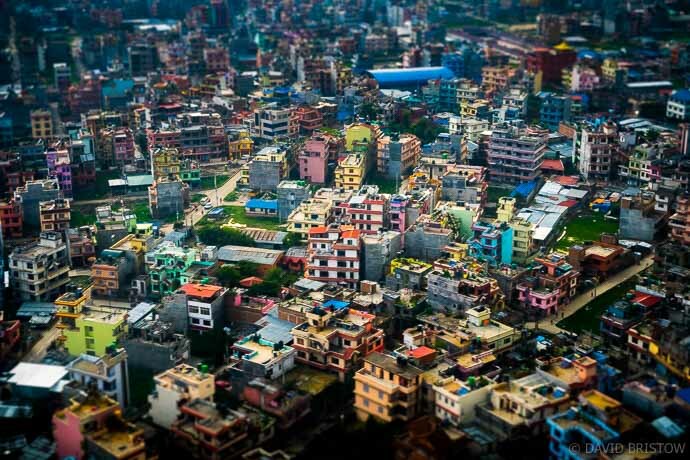 Squeezing out hotel miniatures and pocketing the odd plastic toothbrush can be a difficult habit to break, but those plastic bottles contain only a tiny amount of what is – lets face it – really dodgy product. Pack this: solid hair and body wash bars (in lightweight tins), a bamboo toothbrush with organically grown bristles, and tooth powder instead of a plastic (non-recyclable) tube of toothpaste. If you only replace your toothbrush once every 6 months, over a lifetime you’ll prevent around 170 plastic brushes from heading to landfill. Put down that coffee and steel yourself for this: if all the coffee cups manufactured this year were lined up – end to end – they would stretch around the globe 1360 times (that’s 500,000,000,000 cups). If you think that sounds like a whole lot of irretrievable landfill, you’d be right. Difficult to recycle, most single-use cups contain a waterproof, polyurethane plastic lining that will outlast us all. Aussies throw back (and then throw away) upwards of three billion coffees sold in single-use cups every year. Some recycling facilities can process plastic-lined cups, but this practise is not Australia-wide. Still, good examples are everywhere. 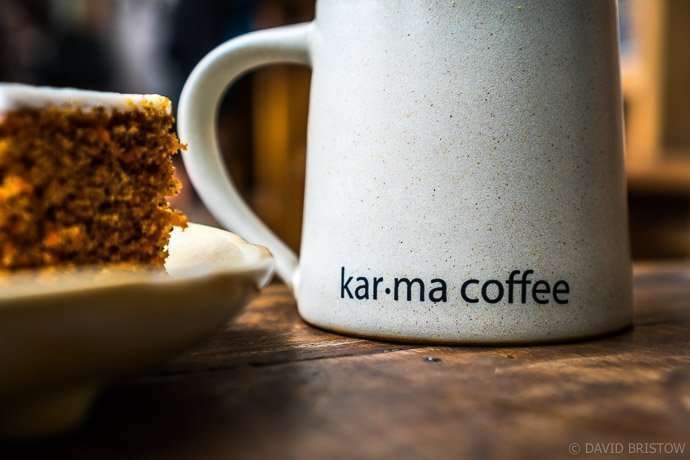 A favourite fair-trade coffee house in Kathmandu known as The HUBgives away recycled ceramic mugs, which you can fill, wash and refill, and even recycles its paper coffee filters into notebooks, and its coffee grinds into body cleaning bars and scrubs. Pack this:a reusable coffee cup. Alternatively, sit down, relax and sip from a ceramic cup before rushing on with your day. If you do have to takeaway, refuse the lid that really does last a lifetime in landfill. According to the World Economic Forum, by 2050 our oceans will contain more plastic than fish. 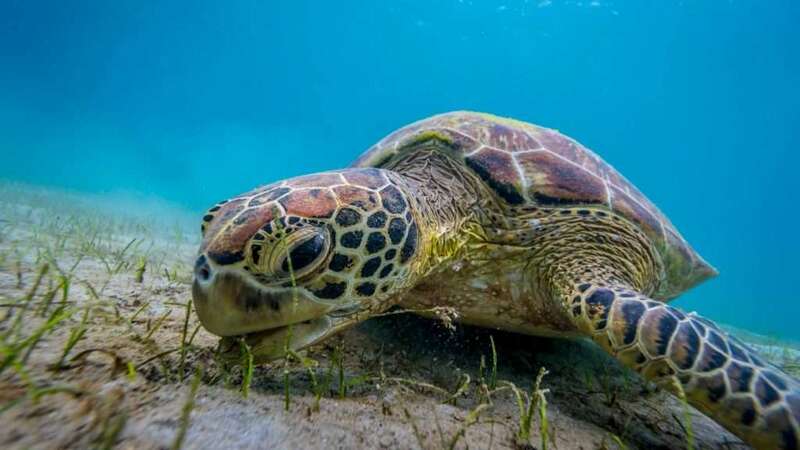 Plastic food packaging is largely to blame, breakingdown into smaller and smaller pieces in marine ecosystems that when ingested by birds, fish and turtles, cause starvation and death. In 2018, France became the first country in the world to ban disposable food and drink packaging, making reusable coffee cups compulsory by 2020. Until the rest of the world’s governments get bold, travellers need to lead the change. Pack this: a bamboo or stainless steel food box (which can be used to store lots of gear in transit) and either a lightweight titanium Spork or bamboo cutlery. Job done! Way back in 1995 I handed over a week’s wages for a One Planet canvas rucksack, emptied my climbing rack into it and dragged it off to Yosemite. Two decades and hundreds of adventures later it is still my pack of choice and it just tackled its fourth trip to Everest Base Camp. 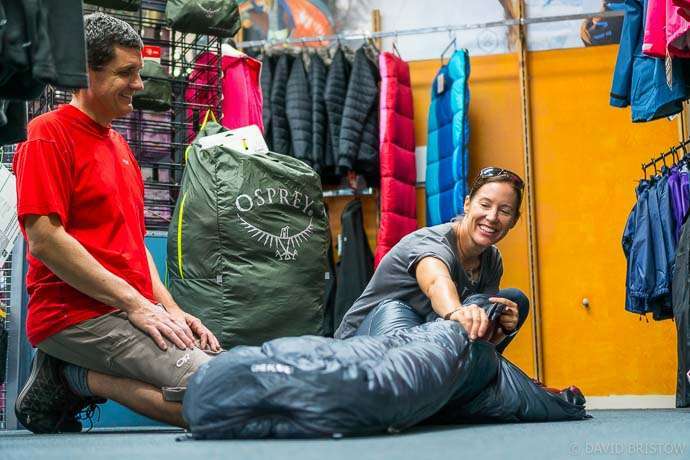 Quality gear lasts the distance and despite the higher price tags, they will end up saving you money and keep a lot of throwaway gear out of landfill. Pack this: the best quality clothing, footwear, backpacks and outdoor gear you can afford, from ethical, eco-motivated equipment companies that use recycled and recyclable materials, manufacture in carbon-neutral factories, and sell their gear without plastic packaging. Using fabric shopping bags is a no brainer at home, but you need to travel with your good habits too and refuse all plastic bags with a smile. Pack this: a micro silk shopping bag or backpack. You are making me even more carful about my everyday purchases.